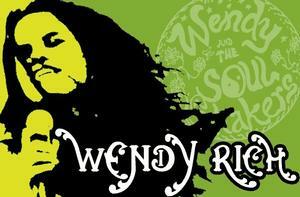 Since her arrival in 1990 to Florida, Wendy established herself quickly and by 1991 started her band Wendy & the Soulshakers , becoming a popular mainstay in the regional club circuit as well as making appearances at most major festivals & events throughout the region. Over the years she has taken her band on the road up the east coast and to Europe as well as self producing 4 cds. In the year 2000 Wendy took some time off from the Soulshakers to tour as front person for the legendary Janis Joplin's original band Big Brother & the Holding Company...who continue to tour to this day with 3 out of 4 of the original members. She toured all over the US and Europe with them through 2004 and still occasionally makes appearances with them. Currently Wendy is focusing on her own music with the new album DRIVER.